Music Manumit: School's Out For Summer !! School's Out For Summer !! This is not legal advice*. Leave audio feedback at (512) 686-6329. I said "week-day" above, but I am going to be moving my days around a bit based on Wendy's days off. It just so happened that she has a week off right as I get to Baltimore. Also, Wendy is a physician working at a hospital and apparently people get sick on weekends too. Who knew? She also does not know her July schedule. If we knew her July schedule I could pick apart July and just move this next week to then, but I can't. The upshot of all of this is that things are going to be a bit chaotic next week. Don't expect a lot of posts this coming week. If people revolt and say they want content Mon-Fri, I can make that happen, but I doubt people care that much. For a while, Stephen of cyberunions.org and and I have been discussing doing another show. I wanted to do a sports show, but Stephen hasn't been watching much sports since heading down to Mexico. It looks like this show is going to have a point-counterpoint nature to it. I'll give an update once we get a show title and web-site. There has been one change for sportazine.com, Eric Crews has joined. We have yet to figure out how often he'll post, but he'll be covering Philley stuffs, which you can see from his Twitter feed. I might be adding others to the sportazine.com line-up. We are looking to have bloggers from all over the country and world, so if you want to join, let me know! If you heard me talk about a possible human rights show, that is on hold unless Nick decides he wants to do one. Nick recently changed jobs and his legal focus is now different so that might me another show, if he has time. Basically, not much has changed since the shows I mentioned before (unless Eric decides to be a mad man posting every day!). I am still looking for contributors, so if you want to contribute, let me know! Remember, I am looking for contributors on all three sites! There are two basic themes to this post: scheduling and sports. In this section, they go hand-in-hand. The European football championships will be going on from June 8th to July 1st. I will be covering the event for sportazine.com. That means that the posting-schedule could be slightly chaotic during that time. ...which means I will be paying particular attention to those games. I will try to incorporate the Euros into legal work by doing pieces on image rights, sports violence, contract law, trademarks or anything else that might come up during the broadcast of the event. If that doesn't excite you, there's also a bracket challenge and fantasy football. I briefly discuss what's coming up on sportazine.com at the end of a recent post. Basically, unless I am successful in getting more help on sportazine, or at opensourceplayground.org or musicmanumit.com, postings could be a little thinner this summer than I had anticipated. My hope is things will settle down once Wendy goes back to work. As I mentioned in posts last week, let us know whether you like the daily short posts or longer, more in-depth posts. 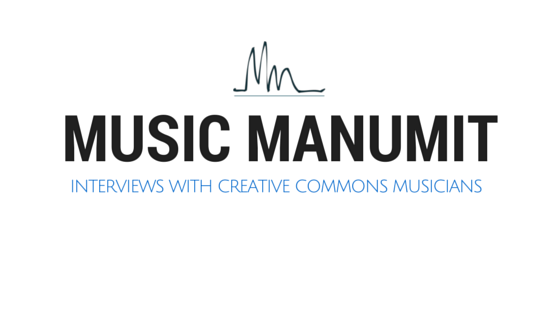 Thanks for your support of the Music Manumit Lawcast this summer!